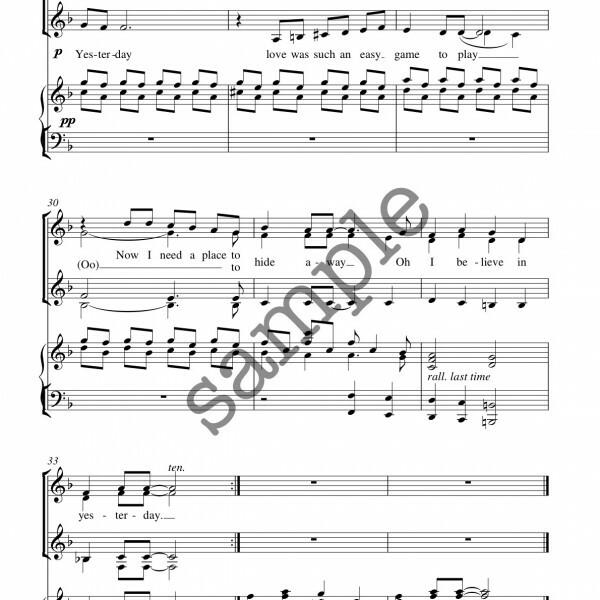 Yesterday was originally recorded by the Beatles for their 1965 album Help! 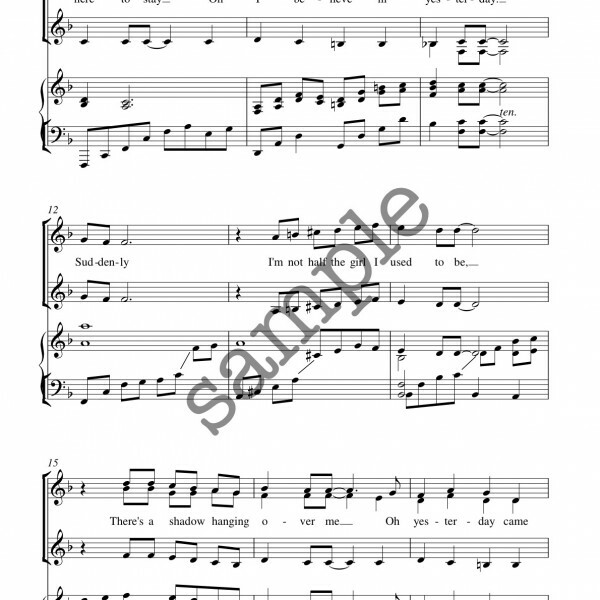 Written by McCartney and one of the most covered songs in the history of recorded music with more than 2,500 cover versions. 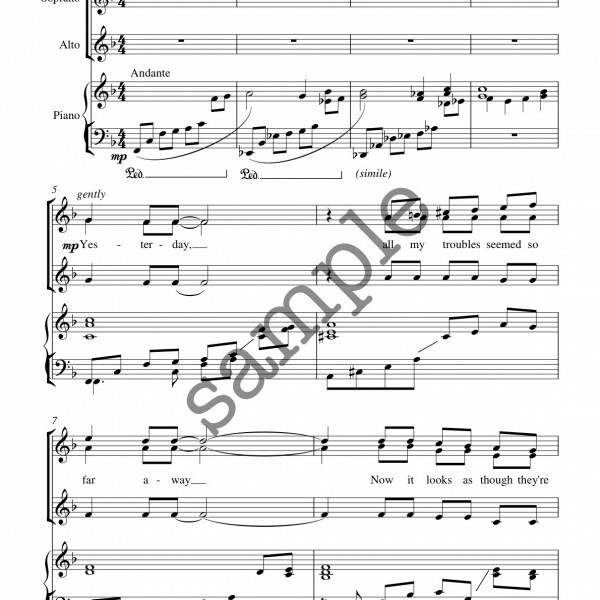 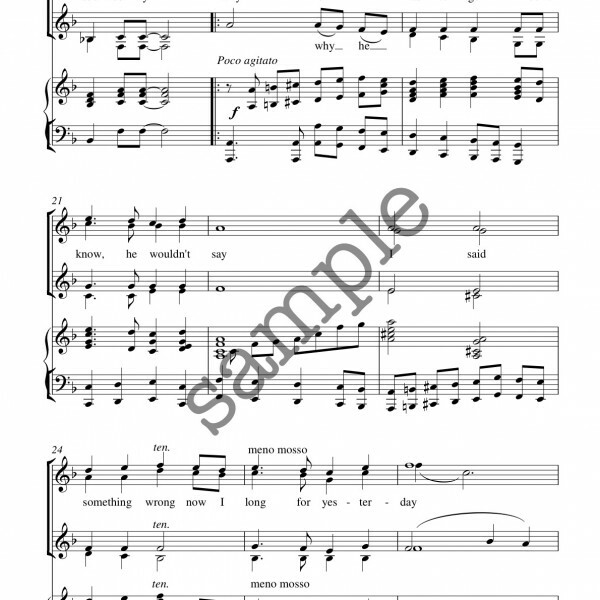 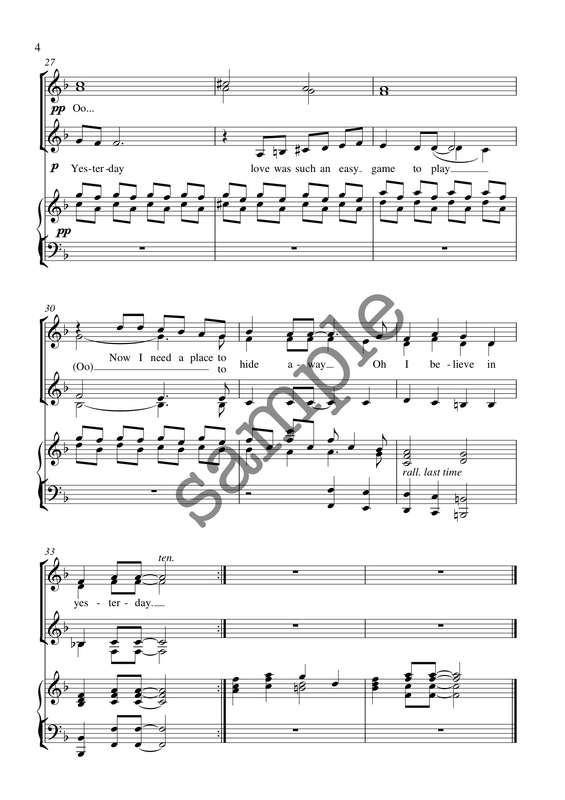 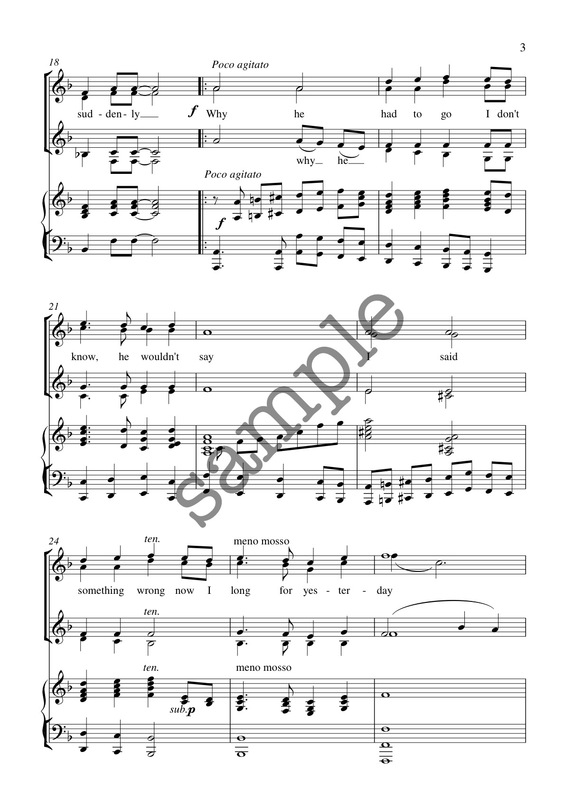 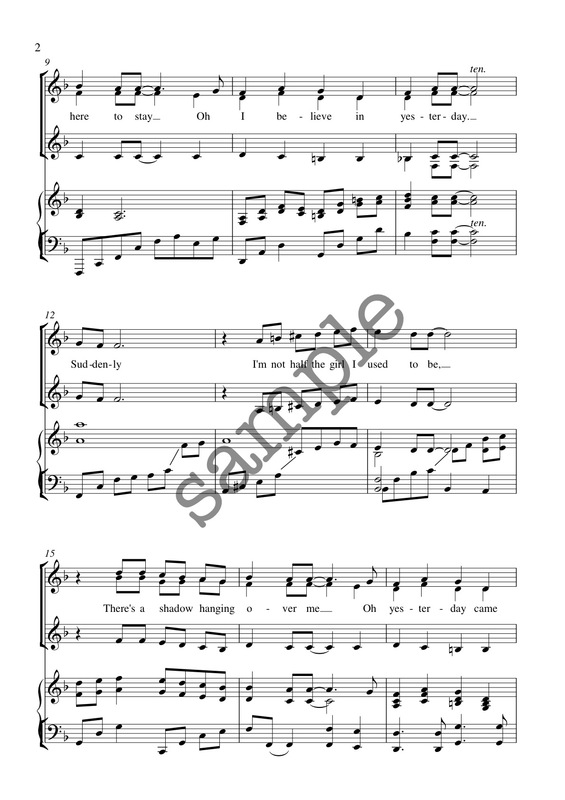 This SSA(A) arrangement is a really popular choice with ladies choirs across the country. 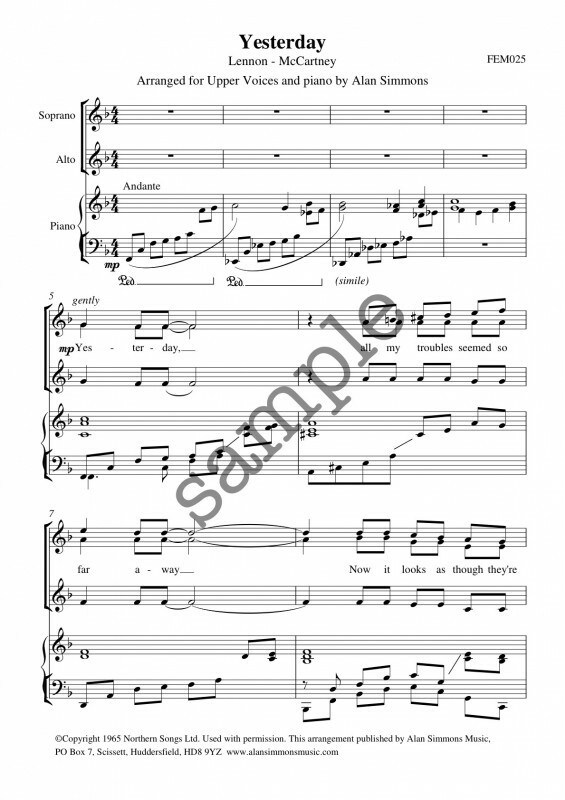 From the very start this gentle melodic rendition is a pleasure to sing and something your choir (and audience) will really enjoy.